MY BOOK, THE MOVIE: Marie Manilla's "The Patron Saint of Ugly"
Marie Manilla's "The Patron Saint of Ugly"
Marie Manilla is a graduate of the Iowa Writers' Workshop. Her fiction has appeared in The Chicago Tribune, Prairie Schooner, Mississippi Review, Calyx Journal, SouthWrit Large, and other journals. Her novel Shrapnel won the Fred Bonnie Award for Best First Novel. Still Life with Plums: Short Stories was a finalist for both The Weatherford Award and ForeWord Reviews Book of the Year. Unabashed bribe: The first person to get The Patron Saint of Ugly into Tim Burton’s and Wes Anderson’s hands will get a dozen cannoli. Seriously. I love their movies. I love their humor and quirkiness, their tilted sadness. I particularly loved Burton’s treatment of one of my all-time favorite books: Big Fish. I love Anderson’s wonderfully weird exploration of family dynamics in The Royal Tenenbaums. 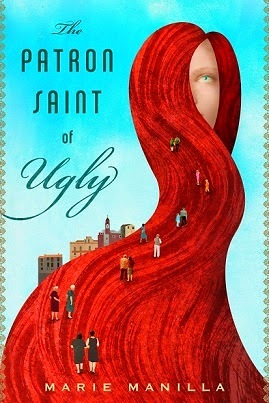 The Patron Saint of Ugly is such a quirky, funny, sad, tragic, irreverent, holy book, that it’s begging for Burton’s or Anderson’s vision. Cannoli, everyone. A dozen of them delivered right to your door. We’re also going to need a skilled make-up artist, since the main character, Garnet, has a body covered in port-wine birthmarks that look like a map of the world, the landmasses shifting over time as a result of environmental upheavals and the land-grabbing, fall-out of wars. Child Garnet: Abigail Breslin…if we could put her in a time machine and send her back to childhood. She was fantastic in Little Miss Sunshine. Adult Garnet: Jennifer Lawrence. She’s already an irreverent smartass—just like Garnet! Nonna Diamante, Garnet’s Sicilian grandmother: June Squibb. I adored her in Nebraska. Marina, Garnet’s Barbie-esque mother, the epitome of beauty whose looks have done more damage than good: Nicole Kidman would fit the lovely bill. Angelo, Garnet’s ever-shrinking father who can’t seem to earn the respect of his wife or father: Jason Schwartzman. He’d get to sport a righteous pompadour…plus he’s already worked with Wes Anderson! Grandpa Ferrari, Angelo’s brutish father: Danny Devito would be perfect, and he’s just the right size. Grandmother Iris, Marina’s aristocratic, martini-swilling, snob of a mother: The divine Anjelica Huston, of course. Betty, Garnet’s buxom, slightly ditzy, gum-smacking aunt with a lazy eye and a heart of gold: Helena Bonham Carter…plus she’s already worked with Tim Burton! Nicky, Garnet’s bookish brother who is too pretty for his own good: Macaulay Culkin…if we could slip him into the same kid-reverting time machine with Abigail Breslin. The Page 69 Test: The Patron Saint of Ugly. 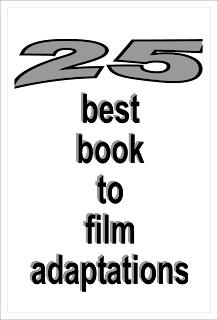 Rachel Toor's "On the Road to Find Out"
Ian Worthington's "By the Spear"
Mark Troy's "The Splintered Paddle"
Gary Corby's "The Marathon Conspiracy"
Donis Casey's "Hell With the Lid Blown Off"
Michael A. Kahn's "Face Value"
Sheila Kohler's "Dreaming for Freud"